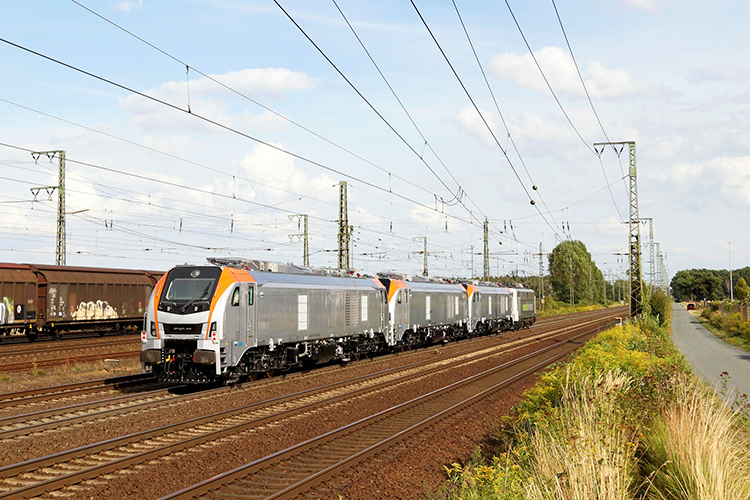 The first series-built EURO DUAL locomotives (for HVLE) on their way through Germany near Wunstorf on 24 August 2018. Picture by René Klink. A new locomotive pool has been launched: ELP - European Loc Pool. Keywords: State-of-the-art, hybrid/bi-mode, full service, sustainable, innovative, competitive. At the InnoTrans 2018 trade fair, ELP CEO Willem Goosen presented the plans for European Loc Pool. Being a joint-venture between two private equity investment companies from Switzerland (Reichmuth Bank, Luzern and PCS Holding, Frauenfeld), ELP is to commence its business in 2019. To do so, the company has ordered 10 EURO DUAL locomotives from Stadler Rail. A story to be continued!